Lock in a great price for Chateau Repotel Henri IV – rated 8.3 by recent guests! The staff had been helpful to change our room from "Smoking" to "Non-Smoking". They were kind and courteous and seemed to understand how disgusting the smell of smoke can be for some of us non-smokers. Clean adequate room. Great price. Free basic breakfast. Location to all parts of Quebec and surrounding areas was great. 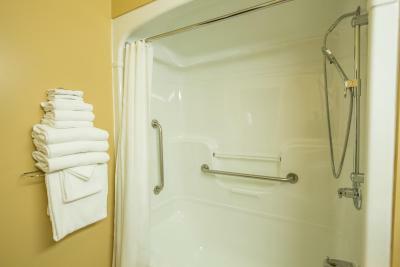 Extremely clean with very comfortable beds. Nice breakfast of fruit, cereals, variety of breads along with coffee, tea & juices. Tim Horton next door for those who are picky about their breakfast!!!! Great value. Perfect for a stopover for a road trip. 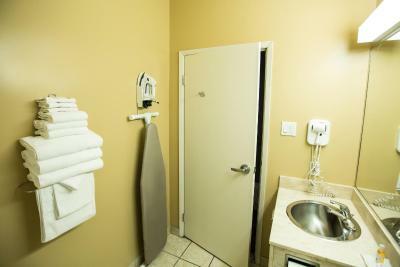 Comfortable beds and very clean rooms. Wi-Fi was quick and strong. Breakfast was self-serve and starting time was 5AM which was perfect as we wanted to get back on the road early in the morning. Check-in and check-out was quick and hassle-free. Near attractions. Easy to commute to Quebec. Reasonable price. Bed was comfortable , room was what we expected to get. ample parking. morning breakfast was free and was surprisingly good. breads,bagels jams and butter. 3 to 4 kinds of cereal and milk.juices.coffee or tea. 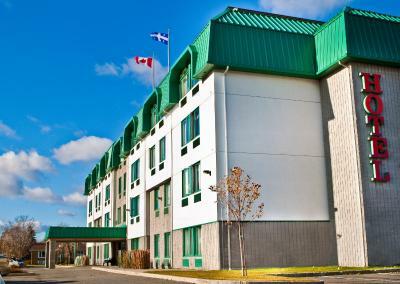 Nice hotel outside Quebec that offers a good value for the money. 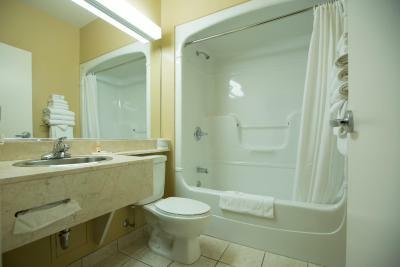 The room was very comfortable, clean and the bathroom is nicer that most hotels in this price range. There is free parking. In that area you can find everything you need: supermarket, restaurants, gas stations. And it is very close to the highways, which is a good thing if you are in transit or want to get out of the city fast. ALL the front desk staff were very friendly and spoke English. I can't say enough great things about the staff!! They gave great advice for where to park, places to eat, exchange money and gave us a very helpful map for getting around. The hotel was clean, bed was very comfortable, water pressure was EXCELLENT and they had a free simple breakfast to start your day. 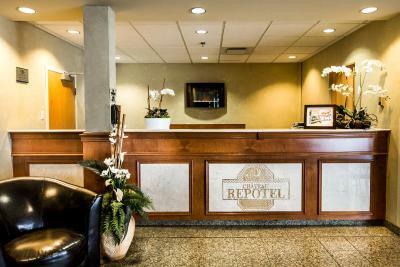 Considering we booked this hotel only 3 days before we left, it was a great find at a great price. 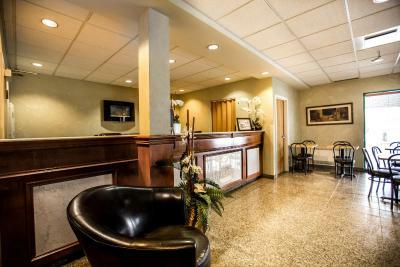 Perfect location in between the airport and near to downtown! Nice lady Isabelle talked me into renting car and made for a great extended weekend! 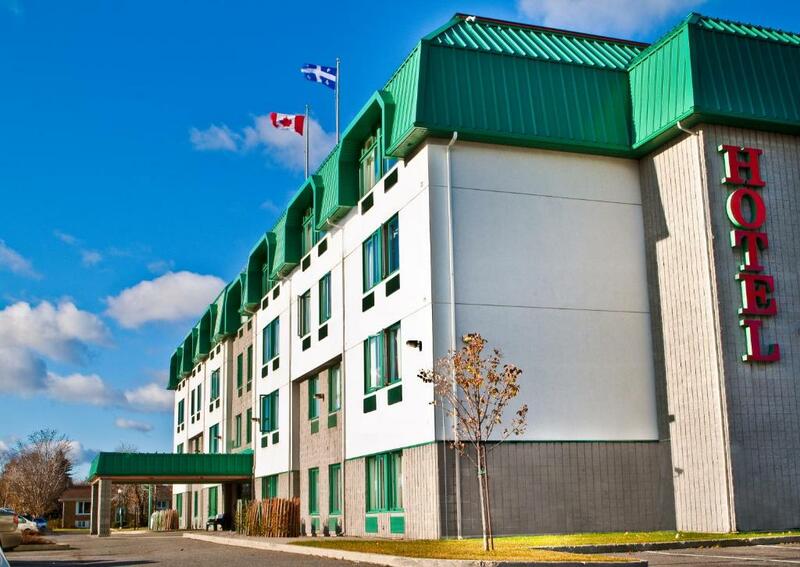 Easy driving to great places near and around Quebec! Good value for reasonable price since we weren’t in room much! Getting rental car at Enterprise was easy too, literally outside door of Quebec Airport! Chateau Repotel Henri IV This rating is a reflection of how the property compares to the industry standard when it comes to price, facilities and services available. It's based on a self-evaluation by the property. Use this rating to help choose your stay! Guests staying at the Henri IV Repotel can start the day with a free continental breakfast or enjoy a free cup of coffee and a weekday newspaper. The hotel also provides free on-site parking. Chateau Repotel Henri IV is located near a number of restaurants, sports clubs and entertainment options. Guests can also easily explore the center of Old Quebec. When would you like to stay at Chateau Repotel Henri IV? This room includes free Wi-Fi and a flat-screen TV with satellite channels. This suite includes a flat-screen TV, a fridge and free Wi-Fi. House Rules Chateau Repotel Henri IV takes special requests – add in the next step! A CAD50 damage deposit is required 7 days before arrival (about USD37.42). This deposit will be fully refunded 7 days after check-out, as long as there isn't any damage to the property. Chateau Repotel Henri IV accepts these cards and reserves the right to temporarily hold an amount prior to arrival. This property does not accept debit or pre-paid credit cards for nonrefundable bookings. You must have a valid credit card to reserve a room. A damage deposit of CAD 50 is required. The host charges this 7 days before arrival. That's about 37.42USD. This will be collected by credit card. You should be reimbursed within 7 days of check-out. Your deposit will be refunded in full by credit card, subject to an inspection of the property. Price was perfect for us. It was in close proximity to our family. Stay here often during our visit to Quebec City. Their ‘breakfast’ consisted of cereal and toast. I was quite disappointed. The cleanliness and the room and beds were comfort. I was given the room adjacent wall to the breakfast room, so every time someone was pulling a chair, I would have swore that they were in my room. Better snow clearance at entrance. The hair dryer wasn’t working and could hear to much noise from from the people walking heavily upstairs and from the car outside. Not enough space in the bathroom. Maybe install a shelf! Quite room and Bed confy! Staff are great. They are all very pleasant to deal with and accommodating. A major snow storm hit the area and it was necessary to extend my stay by one night. 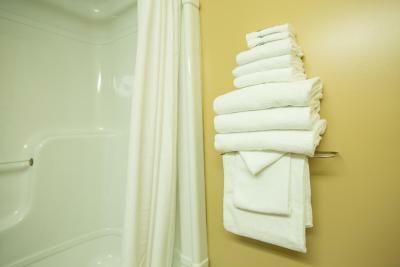 They worked to accommodate the extra night, without having to change rooms, in short order and at great pricing. For my purposes, this hotel is central to my needs (this is the 6th or 7th time I've stayed at this facility) and offers great value for my money. Several restaurants nearby, easy access from and to the highway and within reasonable distance to get into Old Quebec. The girl at the reception could've been a bit more friendly.